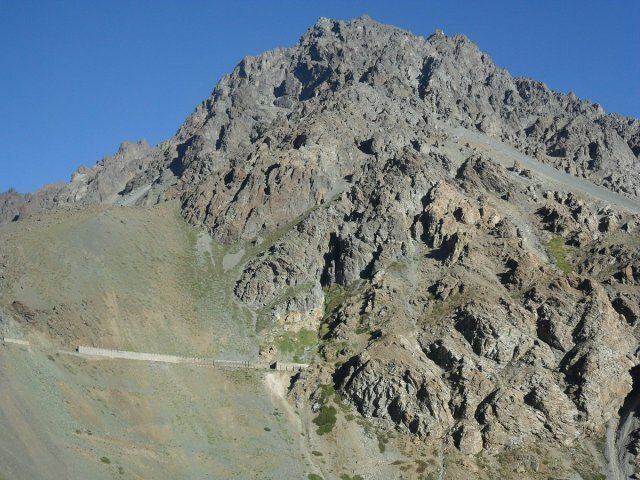 Mendoza is joined to Santiago de Chile by 341km of a most remarkable mountain route. 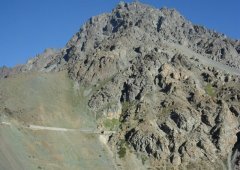 We will leave the hotel, and along road 7 we will visit Potrerillos Valley, its dike and beautiful mountains. 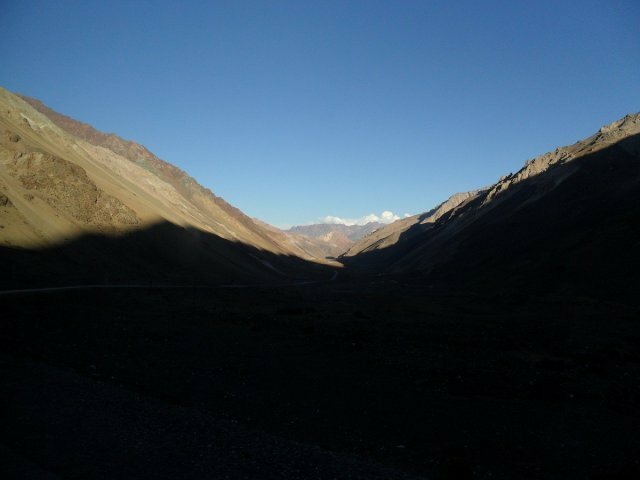 We will also stop at Uspallata Valley and Puente del Inca natural formation. 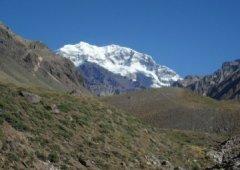 At 15km from the border with Chile, we will appreciate the Aconcagua mount (with 6959 m. above the sea, the highest of the Americas). For lunch we will delight with a gourmet picnic. 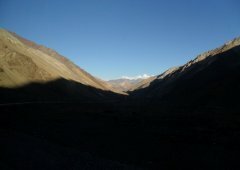 Along the route we choose a place of our preference either next to a mountain or to a river, always surrounded by the amazing Andes Mountain. 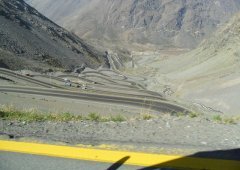 We continue traveling pass the international tunnel towards the Chilean customs. 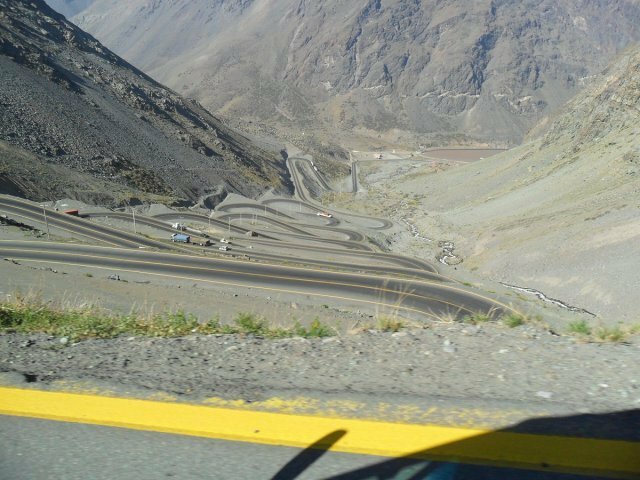 Then, we descend into Chile by a most beautiful switchbacks road, pass by very picturesque small mountain towns towards Santiago de Chile. Estimated time: 9 hours (depending on waiting time at the customs). This program is available only from October to April. 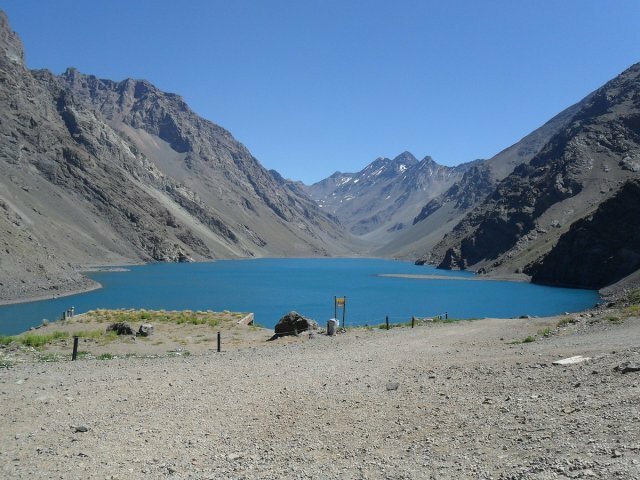 Includes: Private international transfer from the hotel in Mendoza to the hotel in Santiago de Chile, technical guide, lunch box with wine and mineral water. "Boris and I really enjoyed our two excursions with our tour guide. The wine tasting trip was a good experience, especially as each winery offered a unique and different process to make high quality wines. The gourmet lunch was delicious! We had a beautiful day to visit the Andes. Our guide told us some interesting stories about the places we visited, especially the Puente del Inca, which was really fascinating. 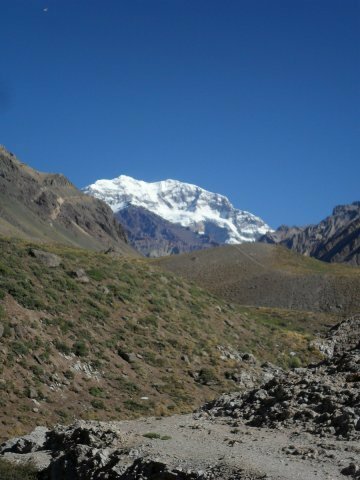 The short hike to see the mountain Aconcagua was fun! Overall, we are lucky and happy to have booked the tours with Aventura & Wine as the personalized and private tours were better than going in a big group with others. The price was reasonable and we are very glad to have those experiences. 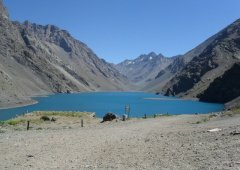 Argentina is a wonderful place to travel and our honeymoon has been much more than I expected because the people here have been friendly, helpful, and fun in every place we have traveled so far. Thank you for your help in organizing our excursions. We have beautiful memories of Mendoza and a bottle of wine to take home with us that we plan to open on our first wedding anniversary."